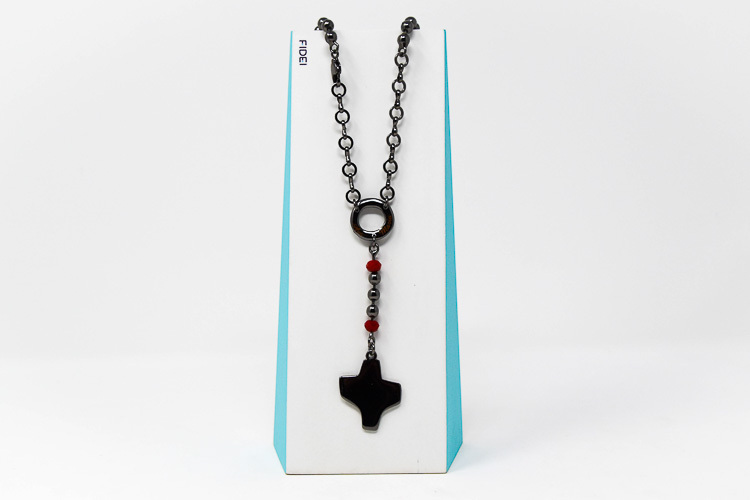 DIRECT FROM LOURDES - Fidei Black Silver Rosary�Necklace with Red Crystals. 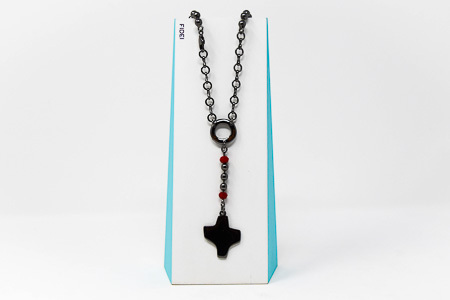 Fidei Black Silver Rosary�Necklace with Red Crystals. Fidei silver rhodium plated rosary necklace with a clasp and black silver beads. For every decade there is a red crystal bead, the round centerpiece has the wording Ave Maria. The base metal for this product is palladium, which is a rare metal of the platinum group that does not oxidize. This rosary is also hypoallergenic and nickel free. Silver & crystal beads measure 6 mm. Length of necklace is 23 cm 9.05 inches closed to the centerpiece. The drop to the cross is 9 cm 3.54 inches approx.